I’m not sure if I buy it, people are saying this (see below) is the new Nexus X and Sony is responsible for the handset. Now, Sony has never been granted a Nexus phone, so there is some plausibility to the rumor, however, Sony is a low-volume Android manufacturer. All things considered, I don’t think this is the new design given the rounded back, imagine how annoying that would be on a flat surface? 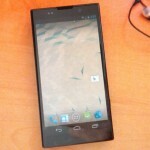 Is this the new Sony Nexus X? 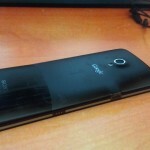 This is the back of the Nexus X, is it me, or is that curved? This entry was tagged nexus, sony, x. Bookmark the permalink.